With the release of the Stunt Race Creator, over 200 new and unique props have been added to the GTA Online Job Creator tool. With vast possibilities for inventive Social Club members to now create Stunt Races, this week you also have the opportunity to get your original Stunt Race officially Rockstar Verified and earn a whopping GTA$8,000,000. The chosen Stunt Races will be featured at the Rockstar Newswire and their creators will also be extended an invitation to talk Rockstar through their award-winning Job on the official Rockstar Games live stream on Twitch and YouTube Gaming. 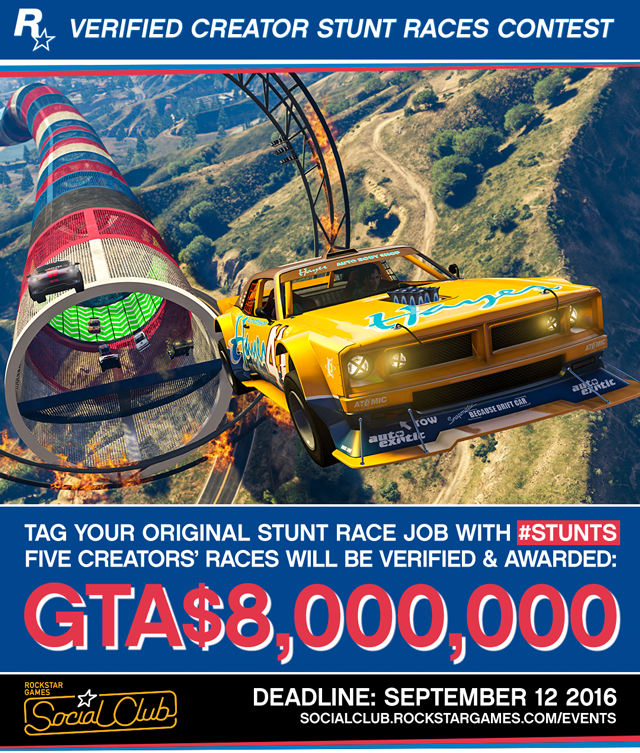 To enter your Stunt Race into consideration, you must tag it with "Stunts" via the My Jobs page on Social Club. To ensure that all eligible Stunt Races are properly epic experiences, your entry must contain at least 18 checkpoints, at least 118 separate props and make sure that they're published to Social Club before 11:59 PM Eastern Monday September 12th. Beyond that, it's entirely up to you to make the most thrilling and original Stunt Race possible and compete for fame and GTA$ fortune. 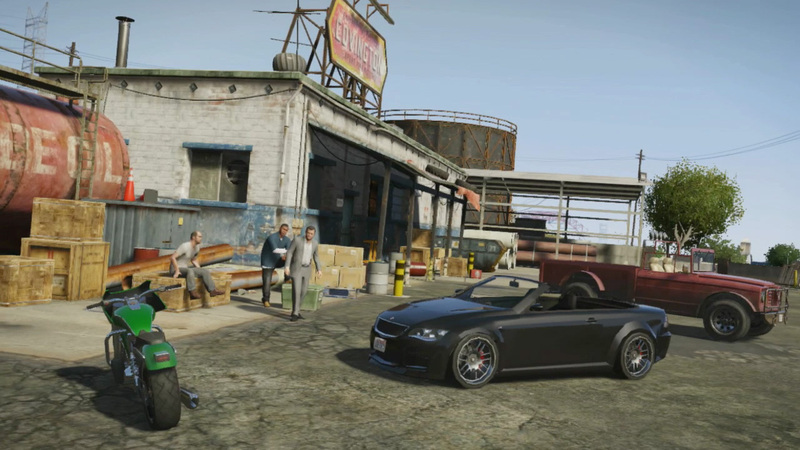 Stunt Races that you've already created or have begun working on over the past month are also eligible for entry, as long as they meet the other stated requirements and are tagged with "Stunts" on Social Club. See full terms and conditions here. To give yourself the best possible chance of making it as a Verified Creator, make sure to check out the official how-to guide that's just been added to the Creator PDFs at the Social Club website and keep a look out this week for some more pro tips here at the Newswire on making a Stunt Race that Jock Cranley himself would risk life and limb to conquer. Good luck and join the chat in the forums! Verified Creator Stunt Races Contest - Rockstar is offering GTA$8 million for the best Creator Stunt Race the GTAO community can make.